After a long hour of struggle, Habiba covered her face in frustration. She looked down at the food splattered all over the dining floor. She turned her attention to her baby who was biting a side of her lip. The baby had been crying the whole time. Her baby, Laraba made a nasty face as her mom continued gazing at her and then let out another cry. Labara is one baby who won’t eat anything solid. Every morning is a new struggle. Habiba has tried just about everything possible. Mrs. Ezigbo, Habiba’s mother-in-law has told her it is absolutely normal for a lot of babies and that soon, she would be over that phase. That is a consolation, but it doesn’t erase the question in her mind: What do I do when my baby won’t eat? She decided to seek the opinion of the pediatrician in charge of Laraba at the clinic. She gave her a few tips. Let’s take a look at what she told her. First you should figure out why your baby won’t eat. While it is quite common and normal, so many factors could trigger it. For babies between the ages of four and six months, it may just be that they aren’t ready yet. Although that is about the perfect time to introduce solids, during this time babies are still learning to move their tongue. Asides that, most babies about this age still has the reflex that prevents them from choking if something strange gets into their mouth. That reflex often has them sticking out their tongues when anything gets in. So, that may make eating really difficult for them. So this baby may just need some more time. The whole eating process actually involves a lot of muscle coordination. 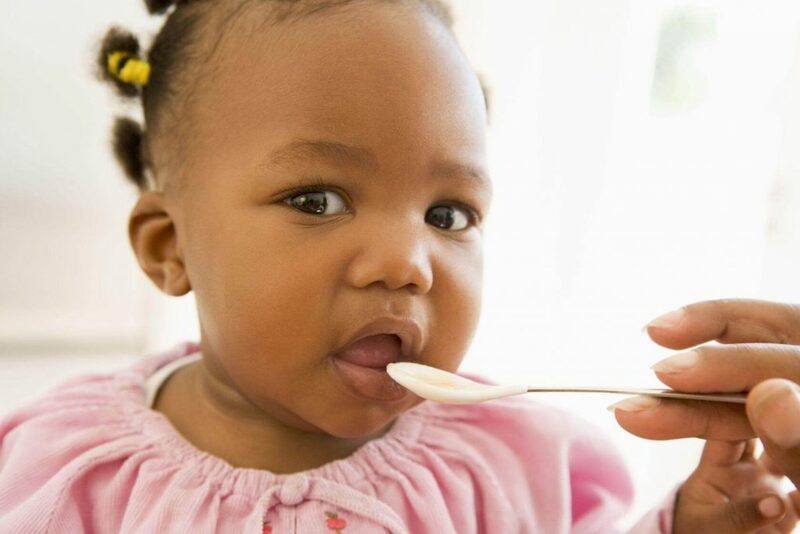 Some babies don’t find it easy: The opening of the mouth, pulling food off from the spoon and swallowing successfully. For some other kids, since solids are new and quite familiar, they may not like how it feels initially: texture and all. Coming from breast milk and liquids, getting used to it may take a while, and that explains the long resistance. These babies are super sensitive to different texture; they usually gag at the sight or taste of food. Now some others babies are passed the stages described above and still, from time to time they reject food and this may be due to several reasons. So many times, mothers and baby sitters seem to give the baby more than is needed. So when a baby who eats on a normal day is refusing food, after ensuring he isn’t ill, he may just be full. Another reason is distraction, so many babies find an object to fondle with whilst they are being fed. Once that catches their fancy, it may be difficult getting them to concentrate on eating the food. Feel free to always check with your pediatrician if it persists. What do to do when baby won’t eat? 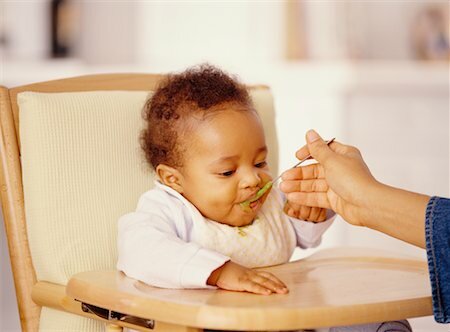 Encourage the baby to participate in the feeding process. When your baby won’t eat, get them to touch the food too, it may be messy but that’s alright. In all these, don’t force them. Just get them to relate with the food, maybe in the toy box or chair tray or a bowl they can play with as they eat. Once you are able to help them do this. You are half way done. This is because they get used to the texture and that would help them adjust a lot. Some might throw tantrums once they touch the texture, try to tolerate them, they would come around soon. Keep at it. Next thing after familiarizing them with the texture is to show them to take their hand from the food to their mouth. This process comes before getting them to use a spoon contrary to what a lot of people think. Once they are able to successfully do this, then you can try giving them the food from a spoon. 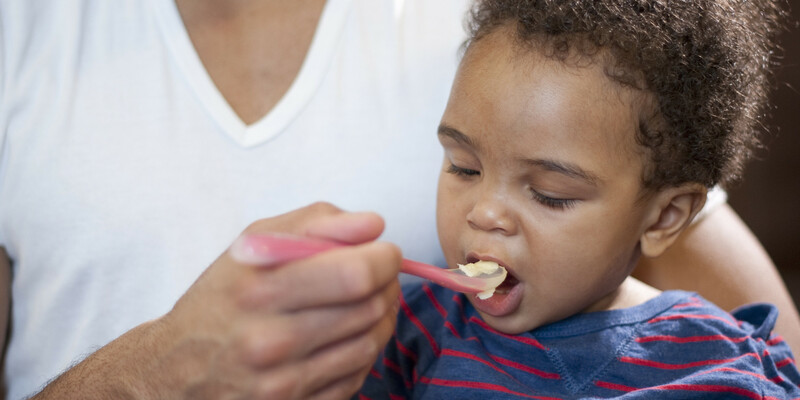 The process is a bit different for babies who already have started eating solids. They may be unfamiliar with the new food you are presenting. You can help one such baby by helping them accept the new food more. Help them see the food as similar to one they are used to. Mashing the food is a great way to start. Then, give it to them in small portions and keep serving that same food in different meals. This would help them adjust. Your feeding schedule and ways are quite different from theirs. Never rush your baby to eat. However, you should note that different babies have different responses and time frames. Be careful not to assume each baby would react the same way.